The past few weeks have been filled with getaways for a lot of my Hurst Strength ladies. As exciting as vacations can be, once we get into a consistent healthy training and nutrition routine at home, going away can bring out a little bit of apprehension – Will I slip backwards? What will I eat? How will I work out? What if I lose my progress? While you might not hit any PRs while on the road, you can absolutely still get some great workouts in, keep your metabolism revvin’, stay in shape and most importantly stay consistent, making it much easier to get back into the swing of your normal routine when you get home. After all, staying consistent is the most vital piece of success with any health and fitness endeavor. There are plenty of ways to stay consistent with being active while on vaca. 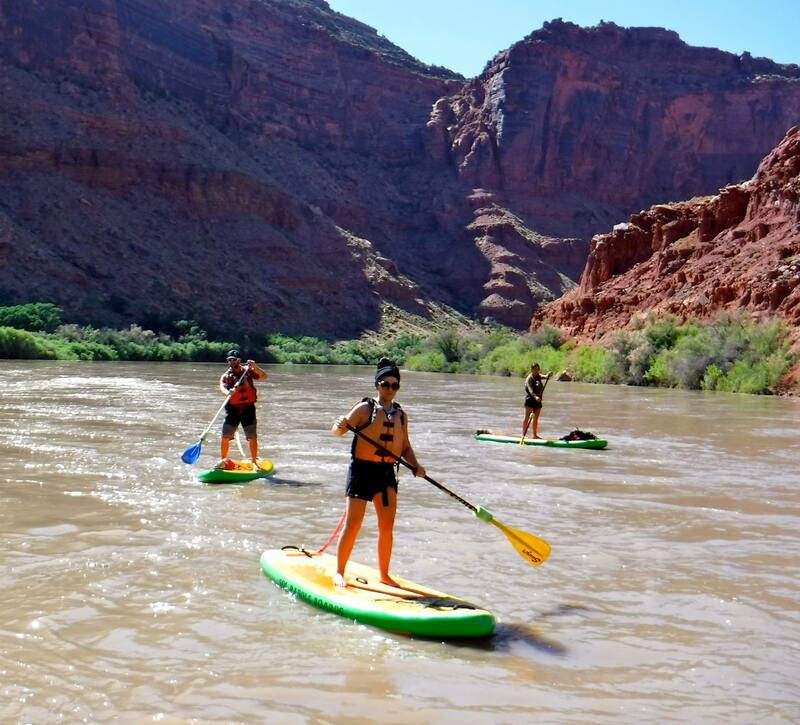 Summer brings a plethora of opportunities for hiking, climbing, biking, paddle-boarding, rafting, swimming, beach sprints, outdoor yoga and morning/evening walks, among other fun doings. Aside from that, it’s also a really good idea to have a solid arsenal of quick, simple travel/do-anywhere workouts, like the one below. Today’s conditioning workout can be done anywhere (hotel rooms included), with or without equipment and be scaled to any ability level. Or in the gym, as a finisher after your strength work. It’s simple, fun and packs a serious punch that will leave you sufficiently smoked, but with plenty of leftover energy to get the most out of the rest of your day. It will also give you the benefits of cardio and strength training all at once, and in less than 15 minutes. Short, intense workouts like this one are incredibly effective for getting leaner, stronger, fitter and healthier overall. Carry out A1-A3 in circuit fashion, performing squats for ascending reps and push ups for descending reps. The reps of negative chin ups, or whatever you choose for your A3 will remain “constant”. …And so on until you reach 10 squats and 1 push up. You may do loaded squats or body weight squats based on your ability level, as well as elevate your hands on a bar or bench for push ups. *You can sub in any exercise you want for A3. I chose negative chin ups because they are an awesome way to boost your chin up strength and I have a lot of clients currently working towards their first chin up. The extra volume of performing them in a conditioning workout can be super beneficial. The “constant” is a great way to work on bringing up any weak movement you want to work on with some extra volume. Just keep the reps low and avoid going to failure. You may also sub a conditioning movement like a sled push, medicine ball slam, rope waves, farmer’s carries, jumping jacks, etc. or a dynamic mobility drill such as thoracic spine rotations or kettlebell halos. The goal is to finish the circuit in as little time as possible, and try to beat your time each time you perform the workout. Remember intensity will always trump duration when it comes to conditioning, so work hard and fast! 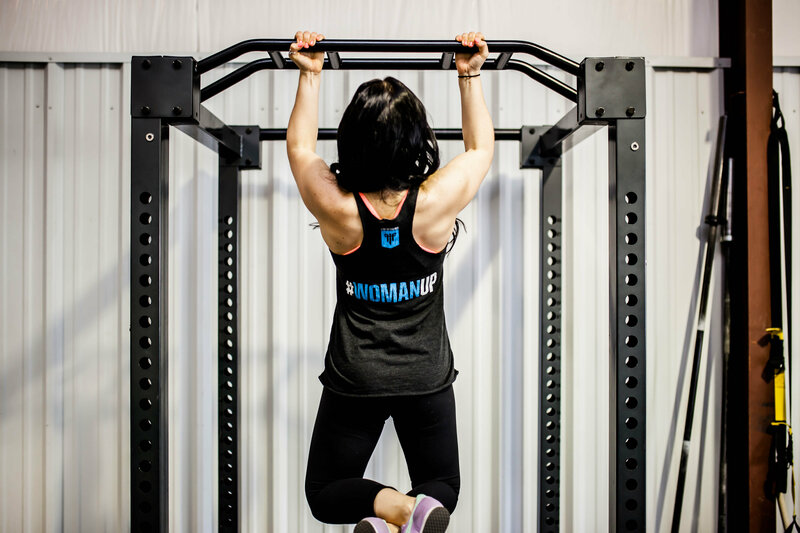 Note On Negative Chin Ups: The main emphasis with these is to keep constant tension on your upper back and lats and to lower yourself down slowly (3-5 seconds) with control. To do this, think about squeezing your armpits and grip the bar as hard as you can. Get sweaty and strong and have a blast! Don’t forget to let me know how you do too – Leave a comment or tag me on Instagram (@HurstStrengthCT), I’d love to see your pics/videos! I hope you have a fab weekend filled with plenty of laughs, sweat and thrills!